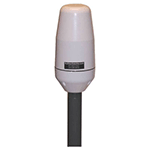 The Iridium Portable Auxiliary Antenna by AeroAntenna is a low-profile magnetic-mount antenna with a 1.5-meter (4.9 foot) antenna cable. 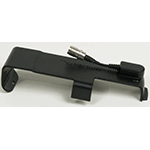 This antenna can be easily deployed and removed from the roof of a vehicle. It can be used with the Iridium 9555, Iridium 9575 Extreme, Iridium 9505A, and Iridium GO! WiFi Hotspot. 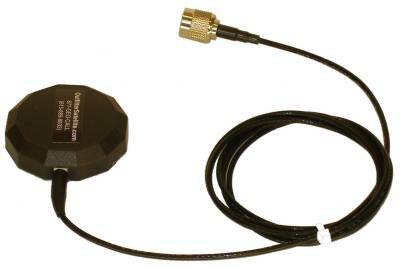 An antenna adapter with a female TNC connector is required. 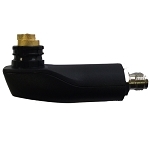 Antenna adapters for various Iridium satellite phones can be found in the RELATED ITEMS section below. If a longer antenna cable is required, we also offer an Iridium Magnetic-mount Car Antenna with a 5-meter antenna cable and an Iridium Permanent-mount Car Antenna with a 5-meter antenna cable. These are also found in the RELATED ITEMS section below. * The prices on this page are only valid while our current inventory lasts. Q: can this antenna be used with a Inmarsat 2 phone ? Actually no. These antennas will work with any Iridium product, but not with an Isatphone. Isatphones work on a stationary satellite system so the antenna is completely different. You would need to dock the Isatphone in a dock of some kind with an antenna connected to the dock.